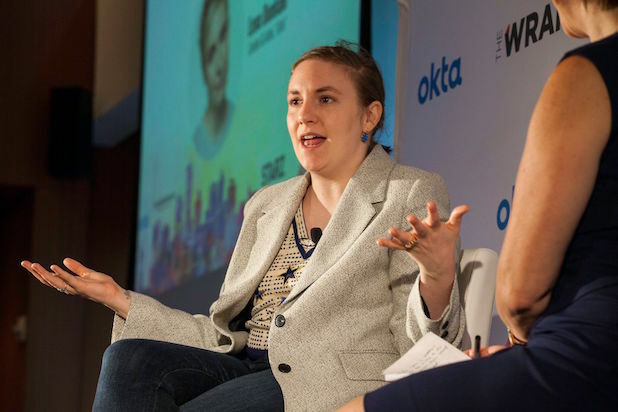 “Girls” creator Lena Dunham deconstructed “maniacal… hellhound” Donald Trump and confirmed that she had no desire to be “bossed around by a dude” in her career after “Girls” ends next year at TheWrap’s Power Women Breakfast in New York on Thursday. 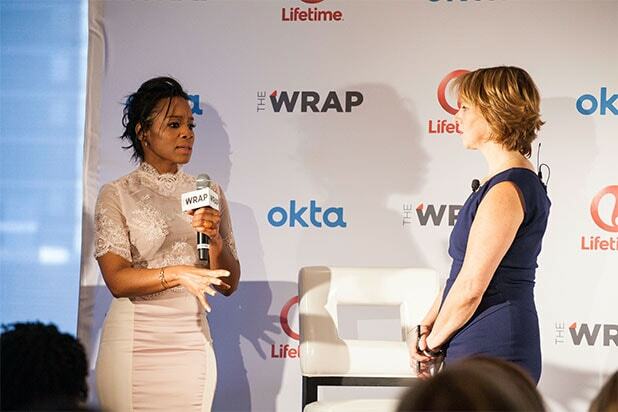 Dunham was not the only defiantly confident woman among a series of leaders who spoke at TheWrap’s second annual gathering of influential women in media and entertainment. Journalist Katie Couric talked about the challenge facing women in media. “We are seeing some progress but unfortunately it does not seem fast enough,” she said. A panel discussion on women and diversity featured The Girl’s Lounge Founder Shelley Zalis; Change the Ratio founder Rachel Sklar; Digitalundivided founder Kathryn Finney and The Pink Ceiling founder Cindy Whitehead. Finney emphasized that women need to both invest in women of color, and mentor them individually. The breakfast drew a standing-room-only crowd of notable women, including actress Gabrielle Union of “Being Mary Jane,” actress Ana Gasteyer of SNL and “Grease Live,” “Eclipsed” actresses Zainab Jah and Pascale Armand, and director Liesl Tommy; Anoushka Healy, Chief Strategy Officer for News Corp; Caroline Webb, CEO of Sevenshift; Broadway actress Patina Miller of “Sister Act”; actress Jackie Cruz of “Orange Is the New Black”; Alexandra Kerry and Lucy Donnelly, producers of Maggie’s Plan; actress Lucy Walters of “Power”; Entrepreneur Gail Becker; Gina Hadley, Founder and CEO of The Second Shift; Heidi Messer, Chairman and Co-Founder of Collective[i]; Jessica Tabin, Vice President of Creative Impact Agency; Lauren Pruneski and Terri McCullough, CMO and CEO of the Clinton Foundation; Lisa Sun, Founder and CEO of Project Gravitas; and Randi Zuckerberg, Founder and CEO of Zuckerberg Media. Dunham is a Clinton supporter and says she was “really moved” when Clinton became the nominee on Tuesday night, but the biggest applause of the breakfast came when the “Girls” creator was asked about Bernie Sanders. “It’s an illusion that a 75-year-old white man is portrayed as the fix to a huge systemic problem,” she said. 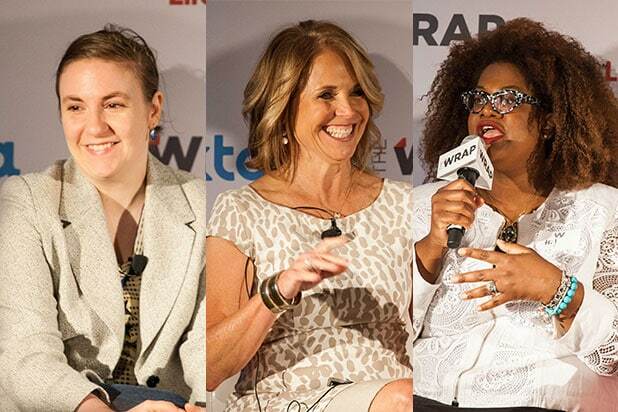 Dunham and Couric were featured speakers at the breakfast which brought leading women of New York’s entertainment and media communities together. Dunham was the first speaker and admitted that she wants to focus on directing and writing when “Girls” ends after the season that is currently filming. Waxman, film and theater producer Paula Wagner, A+E Networks president and CEO Nancy Dubuc and The Girl’s Lounge Founder Shelley Zalis hosted the breakfast that celebrates the personal journeys of accomplished female leaders.